Here’s what we know about the announcement so far. The US National Science Foundation says it will announce during a press conference “a groundbreaking result” from the Event Horizon Telescope (EHT) project. 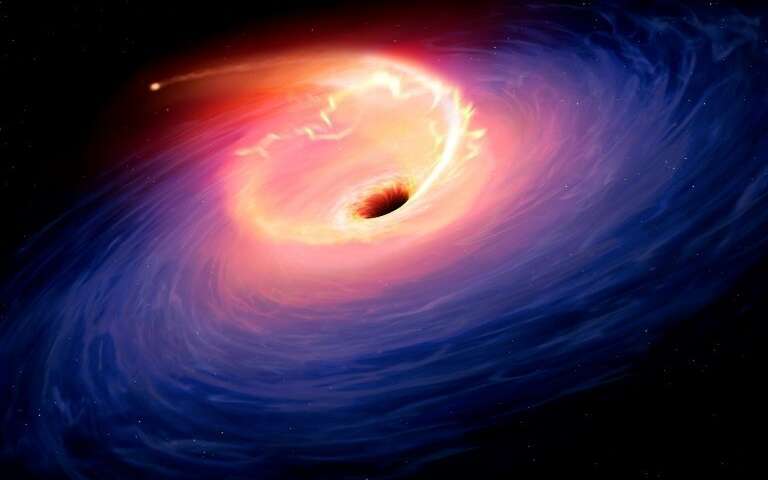 Scientists from the EHT project are keeping tight-lipped about their findings, but it’s widely expected they will show at least one photo of a black hole. “It’s a visionary project to take the first photograph of a black hole. We are a collaboration of over 200 people internationally,” the project’s director, astrophysicist Sheperd Doeleman, said at an event in March. To do so, the scientists linked a series of radio telescope dishes across the globe to create “a virtual Earth-sized telescope”. READ Dinosaur Eggs Discovered in China: New 'Jurassic Park' Finding? The scientists behind the EHT project said they would aim to capture a razor-sharp image, but warned it wouldn’t be easy. “The quality of the images depends on the arrangement of the telescope array, weather conditions at the telescope sites, as well as blurring of images as the light travels from the black hole toward the Earth,” the project’s website says. The research will put to the test one of the pillars of science — physicist Albert Einstein’s theory of general relativity — according to University of Arizona astrophysicist Dimitrios Psaltis, project scientist for the EHT. “The shape of the [black hole’s] shadow will be almost a perfect circle in Einstein’s theory,” Dr Psaltis said.